The Stud is home to two of the best Yard dogs in the past seven years - Noonbarra Butch and Milburn Basil. Both of these sires in our Stud have won the two biggest Yard Trials in this country - The State and National Titles. 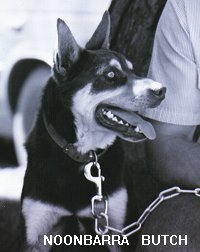 Butch in 1991 & 1992 and Basil in 1997. 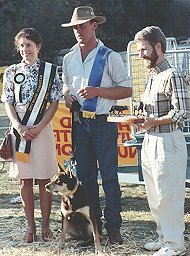 Milburn Basil has also just won the 1998 Central West Championships.